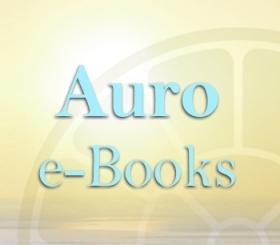 The Life Divine free ebook by Sri Aurobindo combines a synthesis of western thought and eastern spirituality with Sri Aurobindo’s own original insights. 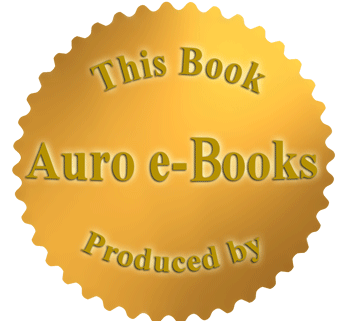 The Life Divine covers topics such as the human aspiration, the emergence of life in the cosmos from out of a Divine Source, the evolution of matter to spirit in the universe, the division and dualities inherent in human consciousness, the way out of man’s ignorance through an evolution of consciousness, and the spiritual destiny of life on earth. 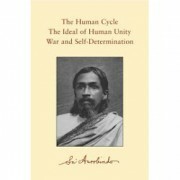 The Life Divine by Sri Aurobindo first appeared serially in the Arya from August 1914 to January 1919. Volume I, revised and enlarged, was first published in book form in November 1939; Volume II, recast and enlarged, followed in July 1940, in two parts. These were reprinted in 1943 and 1947. 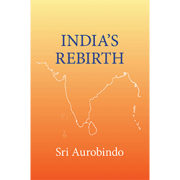 The Sri Aurobindo Library, New York, issued a single volume edition in 1949 and reprinted it in 1951. 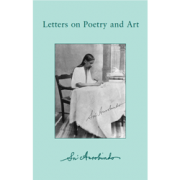 An edition under the imprint of the Sri Aurobindo International Centre of Education, also in a single volume, appeared in 1955 and was reprinted in 1960. The India Library Society Edition (New York) came out in 1965. 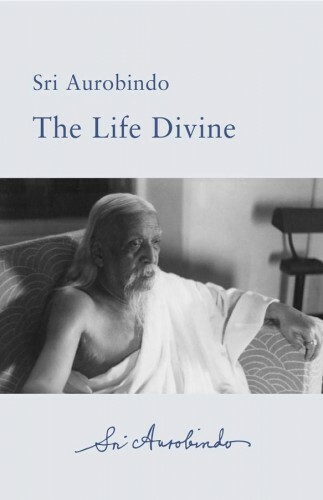 In 1972 The Life Divine was published as volumes 18 and 19 of the Sri Aurobindo Birth Centenary Library. She follows to the goal of those that are passing on beyond, she is the first in the eternal succession of the dawns that are coming, — Usha widens bringing out that which lives, awakening someone who was dead. . . . What is her scope when she harmonises with the dawns that shone out before and those that now must shine? She desires the ancient mornings and fulfils their light; projecting forwards her illumination she enters into communion with the rest that are to come. Kutsa Angirasa — Rig Veda. Threefold are those supreme births of this divine force that is in the world, they are true, they are desirable; he moves there wide-overt within the Infinite and shines pure, luminous and fulfilling…. That which is immortal in mortals and possessed of the truth, is a god and established inwardly as an energy working out in our divine powers. . . . 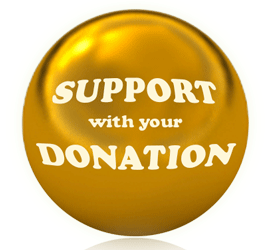 Become high-uplifted, O Strength, pierce all veils, manifest in us the things of the Godhead. 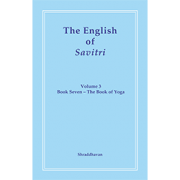 The earliest preoccupation of man in his awakened thoughts and, as it seems, his inevitable and ultimate preoccupation, — for it survives the longest periods of scepticism and returns after every banishment, — is also the highest which his thought can envisage. It manifests itself in the divination of Godhead, the impulse towards perfection, the search after pure Truth and unmixed Bliss, the sense of a secret immortality. The ancient dawns of human knowledge have left us their witness to this constant aspiration; today we see a humanity satiated but not satisfied by victorious analysis of the externalities of Nature preparing to return to its primeval longings. The earliest formula of Wisdom promises to be its last, — God, Light, Freedom, Immortality. These persistent ideals of the race are at once the contradiction of its normal experience and the affirmation of higher and deeper experiences which are abnormal to humanity and only to be attained, in their organised entirety, by a revolutionary individual effort or an evolutionary general progression. To know, possess and be the divine being in an animal and egoistic consciousness, to convert our twilit or obscure physical mentality into the plenary supramental illumination, to build peace and a self-existent bliss where there is only a stress of transitory satisfactions besieged by physical pain and emotional suffering, to establish an infinite freedom in a world which presents itself as a group of mechanical necessities, to discover and realise the immortal life in a body subjected to death and constant mutation, — this is offered to us as the manifestation of God in Matter and the goal of Nature in her terrestrial evolution. To the ordinary material intellect which takes its present organisation of consciousness for the limit of its possibilities, the direct contradiction of the unrealised ideals with the realised fact is a final argument against their validity. But if we take a more deliberate view of the world’s workings, that direct opposition appears rather as part of Nature’s profoundest method and the seal of her completest sanction. For all problems of existence are essentially problems of harmony. They arise from the perception of an unsolved discord and the instinct of an undiscovered agreement or unity. To rest content with an unsolved discord is possible for the practical and more animal part of man, but impossible for his fully awakened mind, and usually even his practical parts only escape from the general necessity either by shutting out the problem or by accepting a rough, utilitarian and unillumined compromise. For essentially, all Nature seeks a harmony, life and matter in their own sphere as much as mind in the arrangement of its perceptions. The greater the apparent disorder of the materials offered or the apparent disparateness, even to irreconcilable opposition, of the elements that have to be utilised, the stronger is the spur, and it drives towards a more subtle and puissant order than can normally be the result of a less difficult endeavour. The accordance of active Life with a material of form in which the condition of activity itself seems to be inertia, is one problem of opposites that Nature has solved and seeks always to solve better with greater complexities; for its perfect solution would be the material immortality of a fully organised mind-supporting animal body. The accordance of conscious mind and conscious will with a form and a life in themselves not overtly self-conscious and capable at best of a mechanical or subconscious will is another problem of opposites in which she has produced astonishing results and aims always at higher marvels; for there her ultimate miracle would be an animal consciousness no longer seeking but possessed of Truth and Light, with the practical omnipotence which would result from the possession of a direct and perfected knowledge. 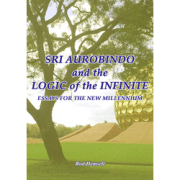 Not only, then, is the upward impulse of man towards the accordance of yet higher opposites rational in itself, but it is the only logical completion of a rule and an effort that seem to be a fundamental method of Nature and the very sense of her universal strivings. We speak of the evolution of Life in Matter, the evolution of Mind in Matter; but evolution is a word which merely states the phenomenon without explaining it. 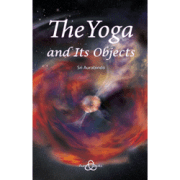 For there seems to be no reason why Life should evolve out of material elements or Mind out of living form, unless we accept the Vedantic solution that Life is already involved in Matter and Mind in Life because in essence Matter is a form of veiled Life, Life a form of veiled Consciousness. And then there seems to be little objection to a farther step in the series and the admission that mental consciousness may itself be only a form and a veil of higher states which are beyond Mind. In that case, the unconquerable impulse of man towards God, Light, Bliss, Freedom, Immortality presents itself in its right place in the chain as simply the imperative impulse by which Nature is seeking to evolve beyond Mind, and appears to be as natural, true and just as the impulse towards Life which she has planted in certain forms of Matter or the impulse towards Mind which she has planted in certain forms of Life. As there, so here, the impulse exists more or less obscurely in her different vessels with an ever-ascending series in the power of its will-to-be; as there, so here, it is gradually evolving and bound fully to evolve the necessary organs and faculties. As the impulse towards Mind ranges from the more sensitive reactions of Life in the metal and the plant up to its full organisation in man, so in man himself there is the same ascending series, the preparation, if nothing more, of a higher and divine life. The animal is a living laboratory in which Nature has, it is said, worked out man. Man himself may well be a thinking and living laboratory in whom and with whose conscious co-operation she wills to work out the superman, the god. Or shall we not say, rather, to manifest God? For if evolution is the progressive manifestation by Nature of that which slept or worked in her, involved, it is also the overt realisation of that which she secretly is. We cannot, then, bid her pause at a given stage of her evolution, nor have we the right to condemn with the religionist as perverse and presumptuous or with the rationalist as a disease or hallucination any intention she may evince or effort she may make to go beyond. If it be true that Spirit is involved in Matter and apparent Nature is secret God, then the manifestation of the divine in himself and the realisation of God within and without are the highest and most legitimate aim possible to man upon earth. Thus the eternal paradox and eternal truth of a divine life in an animal body, an immortal aspiration or reality inhabiting a mortal tenement, a single and universal consciousness representing itself in limited minds and divided egos, a transcendent, indefinable, timeless and spaceless Being who alone renders time and space and cosmos possible, and in all these the higher truth realisable by the lower term, justify themselves to the deliberate reason as well as to the persistent instinct or intuition of mankind. Attempts are sometimes made to have done finally with questionings which have so often been declared insoluble by logical thought and to persuade men to limit their mental activities to the practical and immediate problems of their material existence in the universe; but such evasions are never permanent in their effect. Mankind returns from them with a more vehement impulse of inquiry or a more violent hunger for an immediate solution. By that hunger mysticism profits and new religions arise to replace the old that have been destroyed or stripped of significance by a scepticism which itself could not satisfy because, although its business was inquiry, it was unwilling sufficiently to inquire. The attempt to deny or stifle a truth because it is yet obscure in its outward workings and too often represented by obscurantist superstition or a crude faith, is itself a kind of obscurantism. The will to escape from a cosmic necessity because it is arduous, difficult to justify by immediate tangible results, slow in regulating its operations, must turn out eventually to have been no acceptance of the truth of Nature but a revolt against the secret, mightier will of the great Mother. It is better and more rational to accept what she will not allow us as a race to reject and lift it from the sphere of blind instinct, obscure intuition and random aspiration into the light of reason and an instructed and consciously self-guiding will. And if there is any higher light of illumined intuition or self-revealing truth which is now in man either obstructed and inoperative or works with intermittent glancings as if from behind a veil or with occasional displays as of the northern lights in our material skies, then there also we need not fear to aspire. For it is likely that such is the next higher state of consciousness of which Mind is only a form and veil, and through the splendours of that light may lie the path of our progressive self-enlargement into whatever highest state is humanity’s ultimate resting-place.